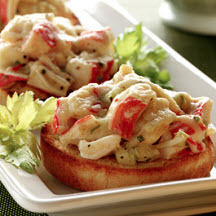 CooksRecipes has quality, kitchen-tested recipes for seafood and fish sandwiches that you can count on for successful deliciousness. 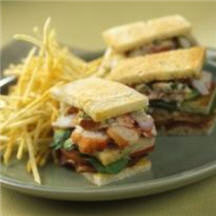 Find recipes for tuna, shrimp, crab, lobster, salmon sandwiches. 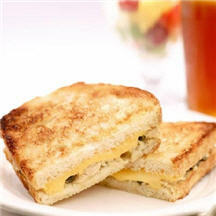 Broiled, baked or eaten unheated these seaside sandwiches are treasures from the deep! This club sandwich features lobster salad with lemon mayonnaise, baby arugula, sliced heirloom tomatoes, smoked bacon and avocado on whole grain bread.